Cats love to eat especially if you give them a treat! My Cat demands for one ALL the time! Make sure your Cat gets all the nutrition they need which is essential to your Cats health and happiness. You should also take a peek in their litter box and see what type of poo they are doing as this will give you a good indication of your Cats digestive health. Small and firm poo is a good sign that improved nutrition is making a difference to your Cats health because this means less food is being passed through as waste. Cats come in different size among individuals and breeds but with a Cat you should be able to feel and observe the waist behind their ribs. I know Cats love to lie around and be lazy as they spend a lot of time taking a Cat nap but it is important they keep active. Your Cats coat should be shiny and well groomed which are signs of a healthy Cat. Although Cats spend around 30% of their life grooming themselves you should still groom your Cat regularly which will help them prevent hairballs. This will also create a special bond and I’m sure your Cat would appreciate it too. If your Cat starts to over groom then this could be a sign of stress and when they start over grooming their hair can fall off which will leave patches on them. I love Cats eyes! Especially when the pupil goes all thin they look beautiful. 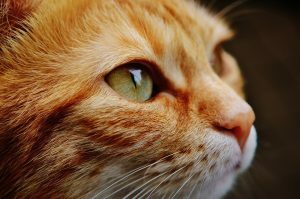 A healthy Eye for your Cat should look bright and clear. If your Cat has healthy teeth and gums then this is a good sign that your Cat is healthy especially when chewing is vital for your Cats digestion of food. The mouth should smell fresh and Gums should look pink. A healthy Cat will always be on the alert of it’s surroundings and curious. 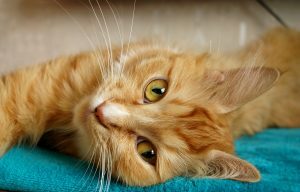 This is a very good sign that your Cat’s has a good immune function. Cats love routine and if anything changes to their routine such as a new arrival of a baby or changes to the furniture this will cause stress to your Cat and will most likely result in inappropriate urination, hair loss and abnormal sleeping patterns. You can check how well your Cats bones are and how well his joints move by getting him to Hi5 you when giving him a treat (This is something I do!) 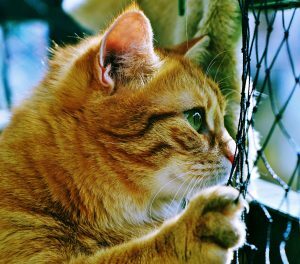 By playing with your Cat and getting him do exercise by jumping over things will help keep your Cat healthy in body and mind and not to forget how much fun you will have by bonding with him whilst playing with him. It’s a win win situation! 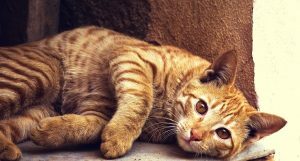 As you can see, Cats can have serious health issues but it’s up to us Cat parents to give them the best and healthy lifestyle to prevent any of these health issues. Just as we want to have a healthy life and we will try our best to ensure that we should also care for our little feline friends and make sure they have a healthy happy life too. Let’s be the best Cat parents to out Cats and give them the life they deserve! These are great overall tips for good health! Will pin this post!